Tracer Products is the most trusted name in Automotive Leak Detection and is present in over 250 million vehicles worldwide. Tracer Products is home to renowned Tracerline, Professional-Grade, OEM-Approved leak detection products. The Tracerline portfolio includes, OEM-approved and co-solvent free dyes, leak detection flashlights, leak detection kits and diagnostic tools. In addition to Tracerline, Tracer Products is also home to “LeakFinder”. Leakfinder is the brightest, most cost-efficient, leak detection products available for the Automotive Aftermarket. When you find fluid leaking from your car, you need to act fast to fix the leak. 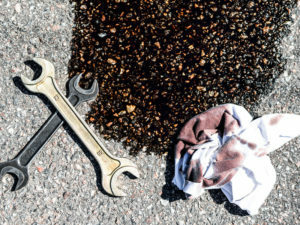 If the fluid is dark and oily, it’s most likely engine oil. A reddish fluid will indicate there’s some leaking transmission fluid. 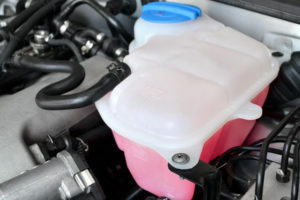 If the fluid is green, red, orange, or another bright color it could be washer fluid or coolant. Despite the late season snow, spring is here and the temperatures will soon rise. Now is the time to make certain your vehicle’s A/C, heating, and coolant systems are in top-shape and free of any defects. Your automobile needs to be serviced on a regular basis. If not, critical parts could fail – placing at risk the time and money you put into your vehicle. 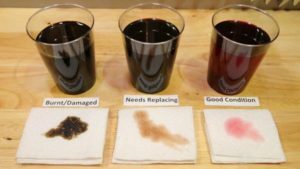 One of the easiest and most accessible ways to make certain your vehicle is operating in top-notch condition is checking the various fluid-based systems of your car. Checking and maintaining your tires is a critical part of keeping yourself and your vehicle safe. 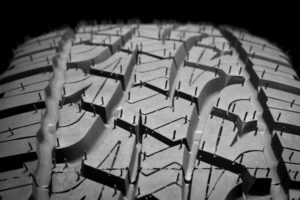 Braking, handling in the inclement weather, and potential tire blow outs are serious safety risks. Every year thousands of large trucks, passenger buses, and other heavy duty vehicles need regular maintenance. 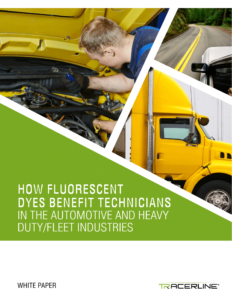 Using fluorescent dyes for leak detection can be of great benefit to these industries.